Home » Media Server » Kodi » Best VPN for Kodi Android box? Protect yourself online! It’s a fair question, and one I get asked at least once a week: Do I need VPN for Kodi Android box? I don’t know…Do you think you need to lock your front door at night? Or do you think you need to lock your car when you park it downtown? Not everyone is looking to steal your car or break into your house, but why would you ever make it easy for the ones that are? 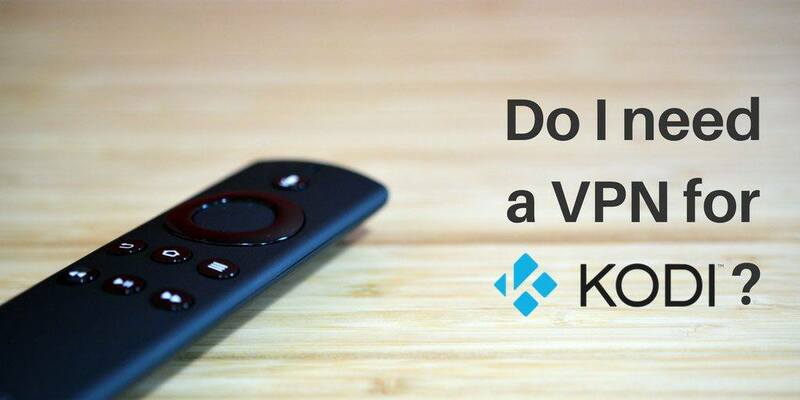 Think of a VPN for Kodi Android box as locking the door to your streaming device. It’s taking that extra step to keep yourself secure. For a refresher on what a VPN is and what it does, check out my article Why use a VPN for Android TV boxes. Maybe you don’t care about your what’s on your streaming device, but hackers do. There’s a whole industry out there that will sell your personal information. You’ve probably heard about credit companies like Equifax, cell phone companies like Verizon or retailers like Home Depot getting hacked. Millions of customer’s email addresses and credit card information were stolen and sold on the dark web. Chances are, you know someone that was affected. But hackers are after more than your email address and credit cards. They’re after you in more subtle ways. They’re after your Netflix account. Trend Micro, a well-known internet security firm, warns that stealing Netflix accounts has turned into a big business. With access to your Netflix login, suddenly thieves have access to not only your email address, but your address, phone number, and some basic payment information as well. What’s worse, you’re probably using that Netflix password for something else, right? Maybe something you do care about. Even if you don’t use Netflix, Kodi itself is at risk– especially if you’re streaming from unknown sources. You never know who created those free streams and what they may have hidden inside. I’ve already done an article on the security risks of bad Kodi addons, and another article about premium Kodi addons and IPTV services that may not be all they’re cracked up to be. But there’s more you should know. If you care about protecting your personal information, you need to secure your streaming device with a Kodi VPN. You’ve got usernames and passwords on every device you own. You need to protect them just like you’d protect the front door of your house. Is Kodi legal? Yes..but the way you’re using it probably isn’t. That’s all well and good, but according to the Motion Picture Association of America (MPAA), Kodi “taps into an ‘infringing ecosystem’ of content add-ons and portals, with more than 750 websites offering such infringing devices or software.” They estimate that two out of every three active Kodi users access pirate sites like TVAddons. The most popular use for Kodi is to let its users to stream movies and television for free. Are you really surprised that the movie studios want to shut it down? There’s a difference between privacy and anonymity. And both are important reasons to use a VPN for Kodi Android boxes. Think of privacy as not letting anyone stand over your shoulder and watch what you do. In this case, the most common “person” standing over your shoulder is actually your Internet Service Provider (ISP). And make no mistake, they are very interested in your streaming habits. If you’re a cord-cutter, they want to know. Once they know you’re a cord-cutter, your ISP is going to charge you insanely high fees. It costs money to run an ISP. The more data their customers use, the more costs they have. They’d much rather have customers who scroll through their Facebook feed rather than download movies from torrents because they much less data. Unless you like higher fees, using a VPN with Kodi can help keep your ISP in the dark about your streaming habits. Anonymity is something different. If privacy is about keeping your stuff to yourself, anonymity is about concealing who you are. Companies will pay a ton of money for your personal info. ISP’s will sell your browsing history to advertisers, which is nothing new. But in 2017, the rules have changed and they don’t need your permission to do it anymore. The more you’re online, the more data your ISP will have about you, and the more they can sell to the highest bidder. If you want to protect your streaming habits (as well as your Internet browsing), it’s a good reason to use a Kodi VPN. Do you like being told what you can and can’t watch? I hate it. That’s the biggest reason why I use a VPN for Kodi and my other streaming services. It’s called geo-blocking and it’s how they limit what you can watch based on where you live. The big companies like Netflix and Amazon are getting better about figuring out where you really live, even if you’re using a VPN. But I still find a lot of international websites that I can access, simply by using a VPN to log into a server in their country. Depending on where you live, your government could also be limiting what websites you can access. We’ve all heard that China censors certain websites, but did you know that the same thing happens in the United Kingdom and Australia too? In case you’re wondering, the United States is a little different. Instead of merely blocking the sites, they seize the domains and shut them down. So far, over 400,000 subscribers in the UK alone have been subject to these bans. If you live somewhere where the government is trying to decide what you can and can’t watch, using a Kodi VPN can help you get around their limitations. I’ve been using a VPN for a few years and gotten to test several of them. 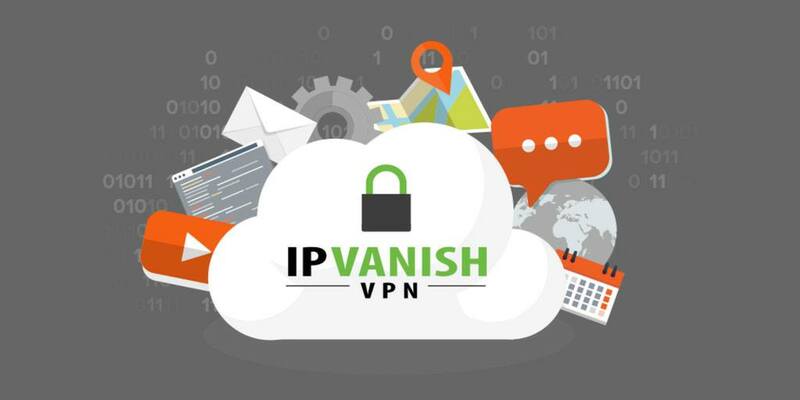 NordVPN and Le VPN were two of my favourites, but I’ve recently switched to IPVanish. Testing a VPN isn’t like testing a TV box. It’s more like being in a relationship. You need time to live with it and find out all of the good stuff and all of the bad stuff too. A VPN may be right for someone else, but not right for you. Does that make sense? Over time, I found a couple of warts with both NordVPN and Le VPN that soured those relationships. In this industry, you hear a lot about IPVanish, so I thought I’d check them out. I like things that are simple to use. I believe that if something needs to have an instruction manual, then it’s too complicated for the average person. So I loved it when I opened the IPVanish Fire TV app for the first time. Everything was laid out in a way I could easily understand. There’s no clutter on the screen and you can instantly tell what’s going on. The default is to find the best available server in the US city with the best connection. Sound good? Hit the big green button and you’re on your way. Wondering if you’re connected and what your speed is? There’s a huge “On\Off” status icon and a scrolling chart showing your connection speed and how much data you’re using. IPVanish gives you as much information as you need without being overwhelming. It lets you get connected and get on your way without wasting time. I’m paying a lot of money each month to get a faster Internet connection. The last thing I want to do is slow down that connection by using a VPN with Kodi. If I have to choose between speed and security…speed wins. Every time. Thankfully, IPVanish doesn’t make me choose. They have over 850 servers around the world and quick options to choose the best available server at any moment. You’ll keep the Internet speed that you’re paying for and still protect yourself while you’re doing it. Apps for all of your devices: Specific apps for Amazon Fire TV, Android, Android TV, Windows, Mac OS-X, iOS and many routers. Multiple streams at once: 5 simultaneous connections on multiple devices. Tons of servers: 40,000+ shared IPs, 850+ VPN servers in 60+ countries. Top notch security: IPVanish has 256-bit AES encryption, which would literally take decades to crack using a brute force attack. Unlimited server switching: Change servers any time to get content from different countries instantly. Bitcoin accepted: For even more anonymity, IPVanish accepts Bitcoin payments. 24/7 customer support: Get help whenever you need it. 7-day money-back guarantee: No risk to try it out for yourself. Let me be very clear: If you use Kodi for anything but streaming your own stuff from your own hard drive, then you need to use a Kodi VPN. 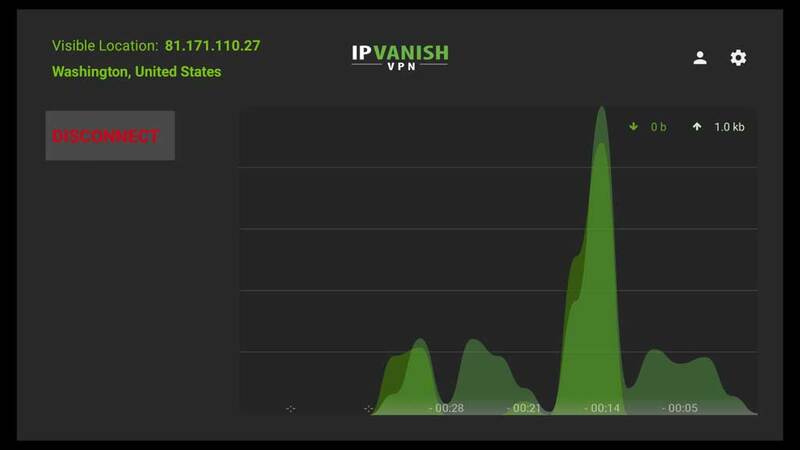 Personally, I think that IPVanish is the best VPN to use with Kodi. Is it right for you? Maybe. Maybe not. I recommend trying it out for yourself. The important thing to take away from this article is that you need to use a VPN to keep yourself safe while streaming. Have you found a VPN that you love? What VPN do you use with Kodi? Let us know in the comments below. How do you pay for your vpn service? Do you suggest using a separate debit card that you add funds to as needed? I would think using your regular credit card would prevent the anonymity you were trying for…? You’re right. Personally, I’m mainly interested in bypassing the geo-blocking rather than privacy and anonymity. I use one credit card for all of my monthly subscriptions. If you wanted to be completely anonymous, you can pay with Bitcoin. It’s all about what’s your most important reason for getting a VPN. Nice article, matter of fact my brother and I were talking about VPN’s this morning (he uses them in his business to direct connect remote locations using a VPN tunnel). I have found from time to time my Ruko does not let me watch a show because of location, do you enter the VPN information in to the Roku? I also have a Kodi Minix Box, it does seem that it has a location to enter a VPN account, does that mean I use the VPN account in the Minix box and all the surfing uses the VPN to access the sites and applications? I have run in to sites that if I have my add blocker on it knows that and tells me to turn it off… will I still have the same issues with using a VPN and finally you said I can use 5 different devices on one vpn account If I have more than 5 computers would I have to log out of the VPN on one of the computers to log in another? The vanish VPN no doubt is different as to how my brother uses a vpn.. so I”m a bit confused. Hi Dave. IPVanish will work for a Roku, but there’s a catch. Since a VPN can’t be installed on a Roku directly, you’ll need a router that will let you install in on it. IPVanish has an article explaining it in more detail. The nice thing is that if you install it on the router, then that is your device and it will affect any device connected to it. If you use the VPN only on one device then everything that you surf on that device will use the VPN, but no other device will unless you start it on that device too. But when having a VPN on a router, is it true that it’s always on? I’m not sure if there is an option to shut it off. And all devices that connect to the network are automatically connected, such as all visitors who wish to connect to your network and everyone would be subject to speed deprivation (depending on the service). And one would have to have a compatible router with the VPN in order to install directly on your router. Dave, my understanding is for those VPN’s that allow “X” amount of connections, they mean simultaneously If you want to connect another device past that amount, yes, one connection will need to be closed, unless you want to pay for another account of course. And remember that the more connections you use, there is a good probability that your speed on the network will take a hit with each device that connects. Happy surfing. Yes. A VPN router would be “always on” unless you manually turn it off and on each time. For every VPN router I’ve seen, that involves manually choosing which VPN server you’re connecting to and entering in the IP address each time. Not a simple process. With that setup, there’s no switching back and forth between servers on a whim. There is no “best available” option. It’s more a “set it and forget it” setup. If you want a VPN for privacy\anonymity and never to bypass geo-blocking, its a good way to do it. To your point, every device connected would take a speed hit (depending on the service). You also would be limited to whatever the performance of that VPN server is. If you’re constantly switching back and forth between servers to bypass geographic restrictions, then a VPN on the router itself seems more trouble than it’s worth. Hi Tim: Didn’t you recommend in a previous article to stay away from VPN’s based in the United States because they were privy to the laws of the land when Big Brother makes an order for information. And I would surmise that even though logs are not kept, that there will be some information on us that Big Brother will want from the VPN that they will be obligated to render. So of course when I shopped for a VPN, I kept your advise in mind. Today I have a VPN that is not based in the U.S. or it’s territories. So, have you changed your mind? Or did I misunderstand? And lastly, if ISP’s will charge insanely high fees once they know of your use of a VPN, what would be a good reason to give them when I cut the cord, cancelling their service with exception to their Internet? Oh, and I’ve read somewhere that ISP’s know when you’re using a VPN anyway, they just don’t know how your using the Internet. What say you? Thanks, and love your work! Hi William. Great question and definitely something I should clarify in my previous article. 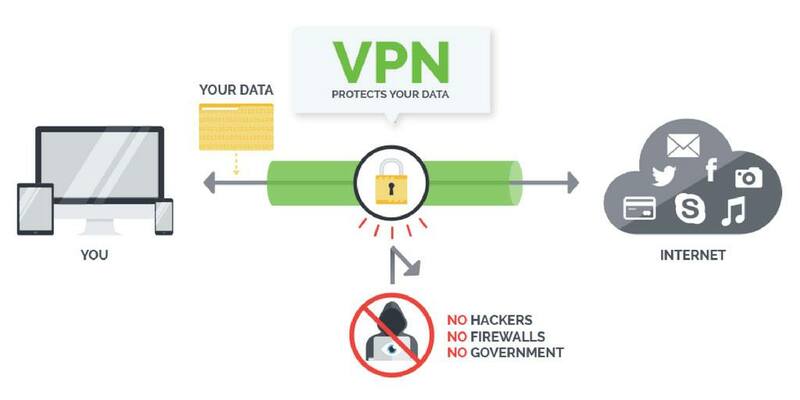 It all depends on what’s the most important reason why you’re getting a VPN. For me, it’s to get around geographic content restrictions (geo-blocking). I’m concerned about privacy and anonymity, but to a much smaller degree. My day job is working with “big data” and analyzing it. Unfortunately, even with so-called “anonymized” data, it’s still possible to de-anonymize it (given time and resources). I firmly believe that if Big Brother REALLY wants to find out who you are, they’re going to do it. It’s like locking your door. You want to make it harder for thieves to break-in and they’ll go find someone else. As for reasons to give for cutting the cord, you’re probably over thinking it. You can tell them that you really don’t watch TV that much anymore (probably true) and that usually works enough for the person on the other end of the phone. They just need something to pick from their drop-down menu of cancellation reasons. I live in the US and have never had an issue with Geo Blocking. So I will assume that under your concern priority we dont need a VPN. Especially since you stated in a answer earlier that big brother can still find you no matter. Thanks for settling this issue for us in the US who have no Geo Blocking problems. A VPN is unnecessary and a waste of money! All that assumes that you only ever want to watch content that is made and available in the US. If that’s you, rock on. Some of us actually like to get a bit broader of a world view – whether that’s sports or news. And I’ll say this (again): MY priorities are to get around geo-blocking. Yours may be different. Not saying mine are right or you’re wrong. I’m just saying they’re different. That’s what is confusing me. I have no problem being in the US and watching U.K. Programs and sports. Nope. Unless you have a router that it can be installed on (rare), then you’ll need to install it on each device. One subscription covers several devices though, so you’re not paying extra. So Tim, if I have a router provided by my ISP – who is also my cable provider, no doubt the “rented” router from them will prevent me from installing VPN software. Do you recommend putting my own router in front of it, or does that defeat the whole purpose of the VPN? Basically if you have a combination cable modem and router, you want to turn off the routing functionality and just use it as a cable modem. You’ll get much better performance from a separate router, and you’ll have complete control over it. I love using this analogy to describe a VPN. Think of two straws inside each other. They have to be different widths so that you’ve got two separate streams of liquid running through them. Think of the inner straw as your VPN connection and the outer straw as your ISP’s network. You’re using the same connection as your ISP for a while, but your straw goes farther than your ISP, right? At home, it’s from your router to your PC or TV box. If you search for Google.com, that’s well past your ISP’s network. What a VPN does is take your straw from your PC\streaming device all the way to Google.com, but it takes a bit of a side-trip to the VPN server to keep it protected. So to answer your question, either way, your ISP can’t block you from using a VPN, but they can block you from installing it on the router directly. Good article, but I won’t choose ipvannish as my KODI VPN because based in USA, and if the government need your details, they will give it just like that, as pureVPN did. USA belongs to a 5-eyes organisation. So if you need total security, you have to think it through carefully. I believe nordVPN it is a much more trustful service and with better price as well. What type of cable box should I be buying if I want to cancel my cable. I do want sports,movies,news ,ppv, I have a friend who loves StreamSmart pro. He says pricey at first but meets all his needs. I do t use Netflix or YouTube and I don’t download anything. I want simple….not to good with technology , I just want to add WiFi to my box and start..I don’t want a VPN either. My friend uses his StreamSmart pro when in USA and Canada. Any other boxes I should be looking at that offers the same as the StreamSmart pro..
I’d recommend either SkyStream or EZ-Stream. You can find more info here. I’ve been using a VPN from Avast the anti virus co. There’s a switch that has off (red) & on (green). I just switch it to on when I want to use Kodi. Real easy. Tim, I should using the VPN with Mobdro as well right? I have PIA, Nord & ZenMate. I prefer PIA as it covers more platforms, has higher throughput and has servers in my preferred destinations that others do not.